Backstage at this year's Electric Zoo festival, which took place Labor Day weekend on New York's Randall's Island, I had one of the least pretentious discussions about music with a person who makes it for a living that I've ever experienced. The Berlin-based producer/DJ/label owner Alex Ridha (aka Boys Noize) had just played a 75-minute set to kids who wore day-glo T-shirts and Halloween costumes, kids who'd like flock to the main stage to hear Skrillex after Ridha's in-tent set. With Skrillex's selection reverberating off the wood-paneled walls of Ridha's trailer, the 30-year-old told me about "Reality," a track he'd worked on for a year, struggling "to make it sound not busy, even though it is busy." 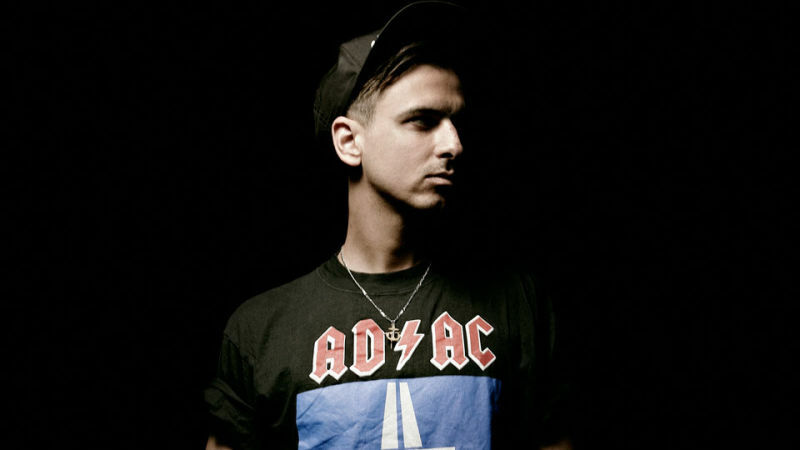 "Reality" appears on the third Boys Noize album, Out of the Black, which is out this week and occupies that strange musical layer between the underground and the mainstream. It's tracky, which is to say, it does not contain vocal pop songs (Snoop Dogg and grime rapper Gizzle do lend some verses), but there is plenty of melodic ear candy to be found in its unrelenting onslaught of bangers. It's a massively pumping, frequently grinding beast of an album that over the course of its 12 house numbers references funk, electro, Italo disco, metal and, as much of today's dance music does, owes a hefty debt to Daft Punk's 2005 elegantly destructive album, Human After All. It is brutal but not suffocating, the kind of thing that doesn't announce itself as commercial but that doesn't sound out of place place at a major music festival playing to kids who aren't yet old enough to drink legally, either. Ridha's music is often clever (hear how the arpeggiated refrain of "Conchord" shifts from minor to major key over its course), but it's so simple a child could understand it. 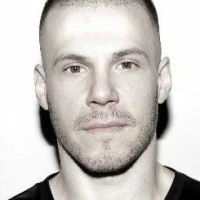 His production touch varies from heavy to light, depending on the context (for example, he co-produced this year's user-friendly Scissor Sisters album, Magic Hour). "I think dance music has a dumb element, for sure. I like it dumb," he says. "It sounds stupid, but I can listen to a loop for an hour. If I find the right loop, I love it. It's dumb, but I have so much fun with it and I can dance to it. I like a lot of stupid tracks. If you're in a rave or a small club, you just need a 4/4 kick drum and, whatever, some element. I think it's pretty stupid, but it's cool." Ridha told me that his attempt to keep his music sparse is in direct reference to house's early days, when mid-'80s Chicago tracks would feature little more than a drum machine and a mechanized bass line. "Reality" aside, tracks usually take him about a day or a few hours. I wondered if making "dumb" music was at all intellectually stimulating for him. "I think the intellectual aspect is in finding good sounds," he replied. "Look at the Top 10 Dance Music chart. All of those sounds are really not exciting to me. Those sounds you can find in a plugin – they're preset sounds. That's what I've been missing a lot recently in the so-to-say EDM world. You have those aggressive elements, and I can find some bits that I really like, but there are a lot of bits that I don't like because they're too cheesey or too easy. People say, ‘Oh, that's not music. It's got no soul.' The way I make music is with machines and when you record something you can change things live and I think that brings a little bit of life to this music. Especially with analog equipment, things can sound a little warmer and imperfect. I'm not a fan of these perfect, functional records." If his music is intellectually satisfying on an aesthetic level, I wondered if it had any emotionally satisfying aspect to him, as well. It doesn't really. "There's some great songwriters and they put all their love and heart in the songs, but for me, it's about the sounds and fun" he explained. "When I record stuff, it's fun and really relaxing. It's a very satisfying thing to finish an album, especially in a day when no one needs an album. I really did it for myself." It's for others, too, though – he played a lot of Out of the Black during his Electric Zoo set. Like many of his festival-playing contemporaries, Ridha plays with EDM's ever-present drop – when the house beat returns to the mix after having temporarily disappeared, breakdown style – but he'll do with more ingenuity than you usually hear, for example switching over to a simmering electro beat sporadically during Black's first single "XTC," so that when the house beat comes back, it sounds like it's pounding harder than ever. I wondered what defined an album to him – if there is any message or uniformity to be found in Out of the Black's 12 cuts, or if it's merely a collection of tracks. The answer is, like Ridha himself, somewhere in the middle. "I've never really looked at my music as storytelling," he told me. "My first album was a collection of bangers. I try not to think about it too much. The way I see it is that I make this type of music in this period and an album captures that moment. It's a signature of what I've been doing in the past few months."